Daffodils are usually the first flowers to make a significant statement in spring gardens. Since there are so many kinds that appear at different times, Daffodils can also be found blooming well into late spring. 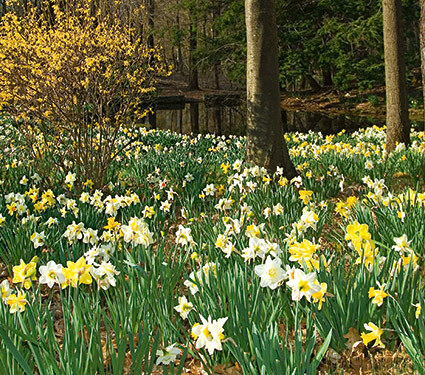 Daffodil mixes for naturalizing provide a long season of blossoms because they include many different types of Narcissus. As they naturalize, they will increase in number over the years. These mixes are ideal for woodlands and rock gardens, and in bedding areas. When planting Daffodils, make sure they have adequate drainage and plenty of sun, although some varieties will tolerate half-day shade. 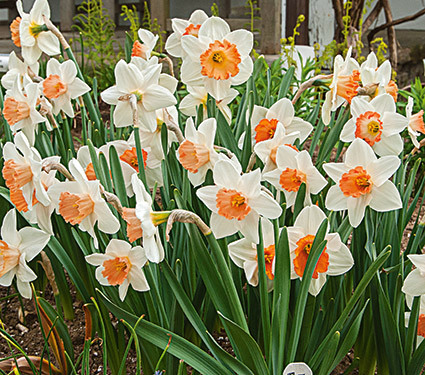 To encourage consistent Daffodil blooms, use a granular, slow-release fertilizer upon planting and then feed established bulbs in the fall. Using the right bulb planting tools will make the job a breeze. Watering during the fall is essential for good root growth before the ground freezes in cold regions. For helpful tips on planting Daffodils to create a naturalized look, please watch our video. 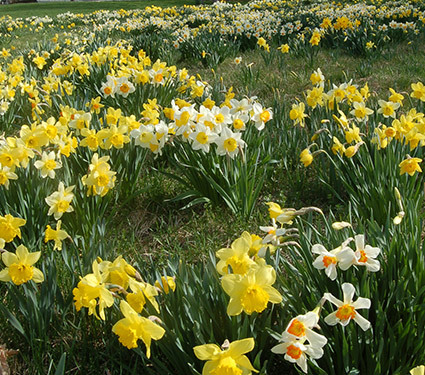 You can also take advantage of a wide range of Daffodils by designing areas that showcase specific colors or varieties. Be sure to plant fragrant Daffodils close to your house or anywhere their perfume will be readily appreciated. Daffodils can be enjoyed equally indoors in forced bulb gardens. 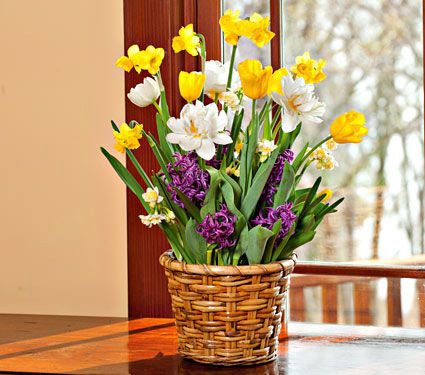 Set in a sunny window in a cool room, they yield a delightful tapestry of bloom during the long winter months.